The new Constella laser projector from Equinox brings full colour laser effects within reach of mobile DJs. 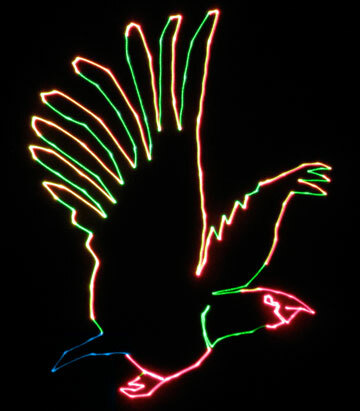 The unit combines red, green and violet pumped laser diodes to create a rainbow of patterns with ultra-smooth movements from its high speed optical scanners that are capable of creating full colour animated graphics, varied light shows and displays that would be at home in any nightclub. A multitude of built-in patterns and effects can be controlled by DMX or simple sound to light/auto modes. An ILDA interface port is also included allowing users to create their own animations and graphics via ILDA software/controller (sold separately). Lookout for an in-depth review of the Constella in the January/February issue of Pro Mobile.